Your shoulder joint is the most mobile joint in your body, but that impressive range of motion leaves it prone to a variety of potential problems, including instability, impingement, and inflammation. 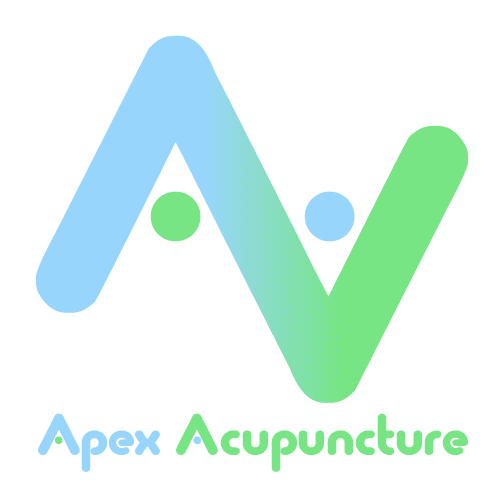 Apex Acupuncture in Manhattan, New York City, uses acupuncture to help women and men find natural, long-term relief from chronic shoulder pain that hasn’t responded to traditional medical treatments. To learn more, call the office or schedule an appointment online today. What causes chronic shoulder pain? Rotator cuff injuries — when the tendons in your shoulder split or tear — are one of the most common reasons for persistent shoulder pain. Tendon problems can be caused by an acute injury or the degenerative changes associated with aging. Impingement occurs when the top of your shoulder blade puts pressure on the underlying soft tissues as you lift your arm away from your body. An ongoing impingement problem can lead to bursitis or tendonitis. This painful condition occurs when the fluid-filled sacs, or bursae, that help cushion the bones of your shoulder joint become inflamed. Bursitis often accompanies tendonitis or a rotator cuff injury. Tendonitis occurs when the tendon that connects muscle to bone in your shoulder joint wears down. This health condition is often the result of excessive shoulder activity or arthritis. As the most common form of arthritis, osteoarthritis occurs when the protective cartilage that helps cushion your bones begins to wear away, eventually leading to inflammation, stiffness, pain, and decreased mobility. Can shoulder pain begin in the neck? Most types of chronic shoulder pain originate within the joint, but others start in your cervical spine, or neck. Problems in your neck can lead to shoulder pain because eight of the major nerves that extend into your shoulder are rooted in your cervical spine. If a neck injury or condition compresses or irritates one or more nerves, you may experience constant or sporadic pain that radiates into your shoulder. Why is a shoulder pain evaluation important? Whenever shoulder pain becomes an ongoing issue, making an appointment to obtain an accurate diagnosis to identify the underlying cause of the problem should be your top priority. Once you know why you’re having shoulder pain, you can explore the appropriate targeted treatments. Your primary care physician or a shoulder specialist can accurately diagnosis your shoulder pain and offer innovative treatment strategies to help you return to your normal routine as quickly as possible. Traditional management of many shoulder issues includes medication, physical therapy, and surgery. Treatment for pain that persists beyond these front-line treatments includes chiropractic care, massage therapy, and acupuncture. How can acupuncture help my shoulder pain? Acupuncture involves the insertion of ultra-thin needles through the skin at strategic points to stimulate, or in some cases relax, specific areas of your body. The purpose of this ancient Chinese technique is to balance your internal flow of energy while stimulating the release of pain-suppressing endorphins and boosting circulation. Apex Acupuncture uses acupuncture to help alleviate inflammation in the shoulder joint, promote soft tissue healing, reduce pain, and guide muscles toward a more properly balanced use of the joint. For natural, long-term relief from shoulder pain, call the experts Apex Acupuncture or schedule an appointment online today.